One area we pride ourselves on is the biodiversity of our farm. 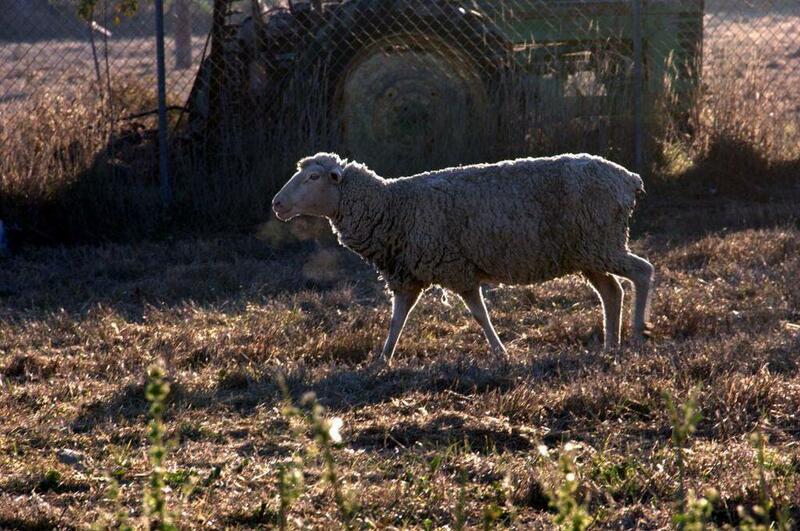 Believe it or not, we're not just about the chickens, we also have sheep cattle, and harvest hay. Actually, I should say that my Uncle does all those things. My Uncle has an organic dairy and raises sheep and since we're a family business, we all try to work together. We have plenty of grass that needs to be mowed and instead of wasting time and money on a person to drive a tractor, not to mention the pollution done to the atmosphere, we just use nature's original lawnmowers, sheep. We set them free to eat all the grass around our chicken houses and my Uncle gets free food for his sheep and we get a free lawn-mowing service!